This church the classic grace of which so grandly crowns the hill, was begun in 1860 but was not finished until twelve years later. 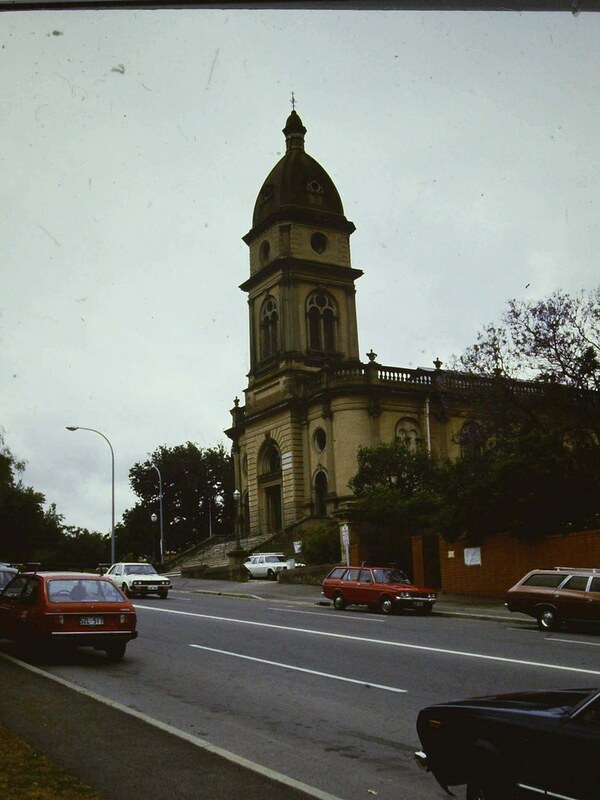 It is the most baroque of Adelaide’s nineteenth century churches and its design appears to owe something to Thomas Archer’s St. Phillips, Birmingham, in the United Kingdom which was completed in 1715. The building committee recommended that the design should be related to the Grecian or Greco-Italian style of architecture. At the beginning two firms of architects were concerned with its building, Wright & Woods and G. & E. Hamilton, but it was completed under the supervision of the former. The initial work comprised the basement and the church auditorium. Stone for the building was quarried by prisoners at the Yatala stockade. 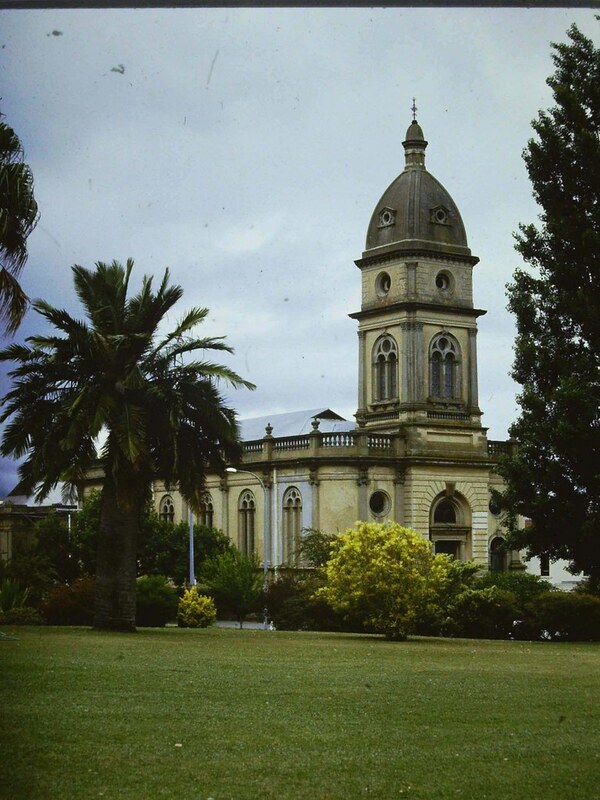 Services were held in the partly finished building in February 1861, but it was not until 1872 when the tower and dome were added that the church was completed. 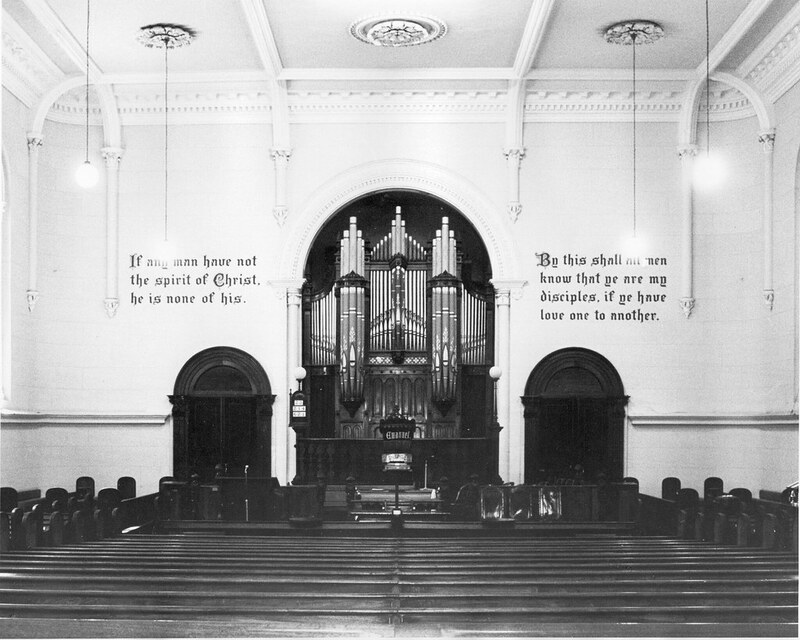 Pews and fittings of the Congregational Church are of cedar and the entrance is reached by a flight of marble steps upon which many bridal parties have posed to advantage over the years. 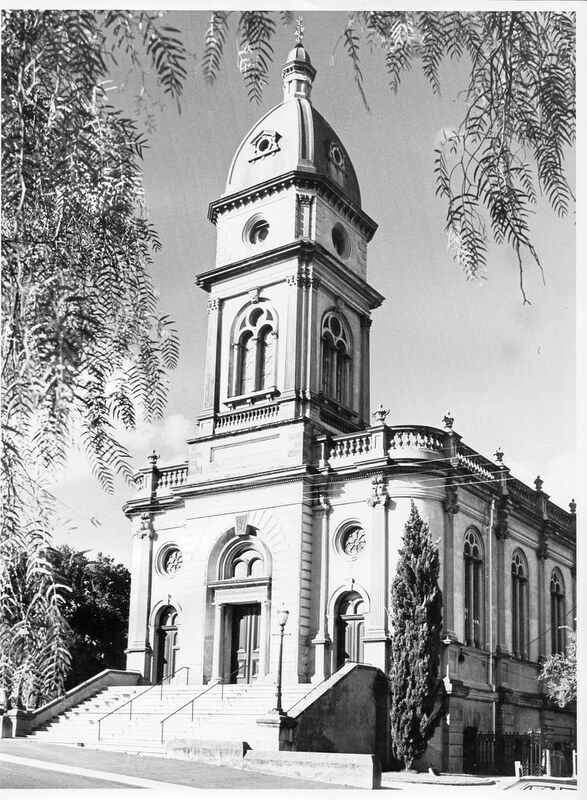 I believe this is the Congregational Church where my parents Thora Alaque Skyring and Douglas Dearnley Patrick were married on 9th April, 1942 after returning to Australia from active service in World War 2. Their wedding was arranged hurriedly while they had leave. As my mother walked down these steps, it marked the end of her army career with the AANS. My dad later went on to continue fighting in New Guinea. 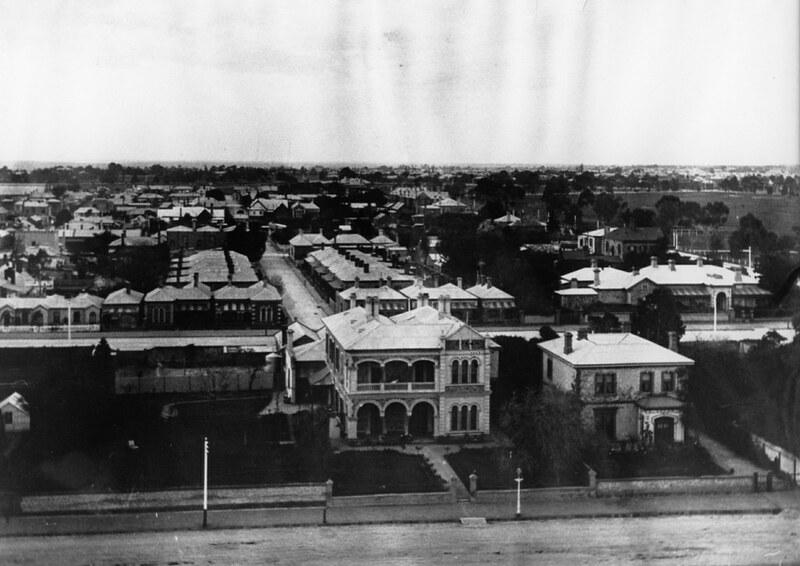 They both agreed that Adelaide embraced and looked after the returning troops and nurses who were billeted out with families in the Adelaide Hills. My parents went on to have six daughters and long productive lives. Dad lived until almost 90 years and Mum made it to 97. So thank you Adelaide for looking after my parents so well during the war. They honeymooned at Glenelg and nevr forgot you! Wonderful to hear your parents had such long happy lives and that Adelaide left such a terrific impression. I was looking for a photo of the Congregational Church at Ottoway 1933. Do you have one?